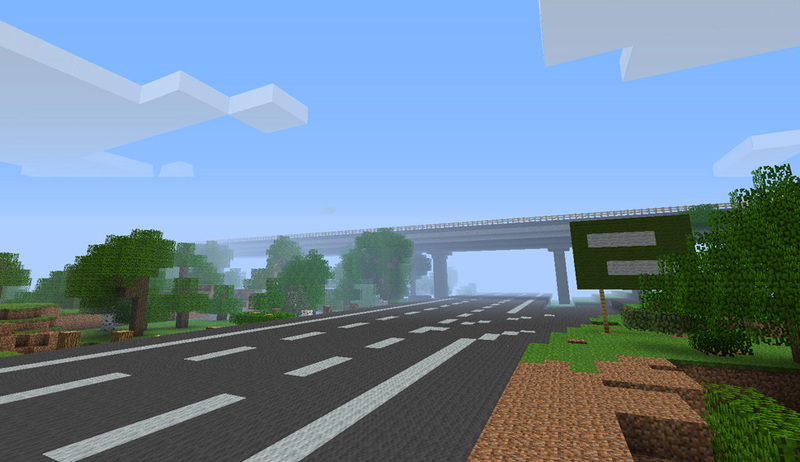 Sure, you can create amazing things in Minecraft, but you could also spend hours building an empty parking lot. Everybody's talking about their incredible Minecraft creations lately. I built the entire Star Trek Enterprise to scale! I created a Minecraft computer that has its own RAM! I modeled an amazingly beautiful Studio Ghibli world! Big whoop. I'm more impressed with the guy that made a parking lot. 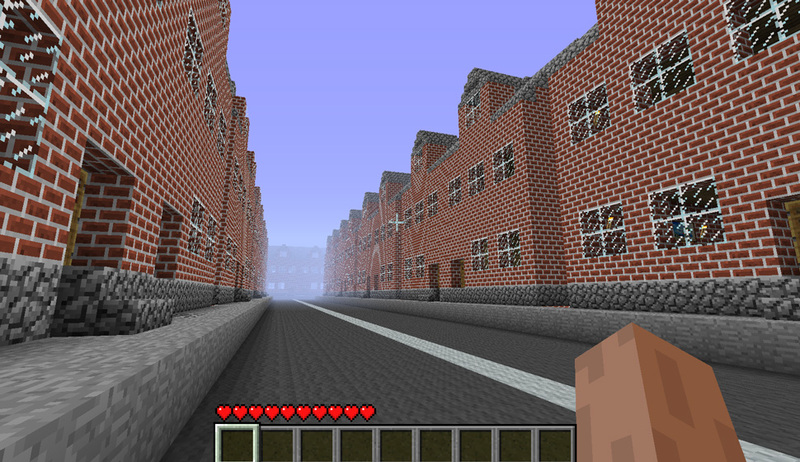 Contrary to the wondrous creations of Minecraft, Boing Boing presents the more mundane. To start, how about a row of nondescript houses built in 19th century England? They're made of bricks, and have windows. Fired up yet? Perhaps a highway intersection is more to your liking? 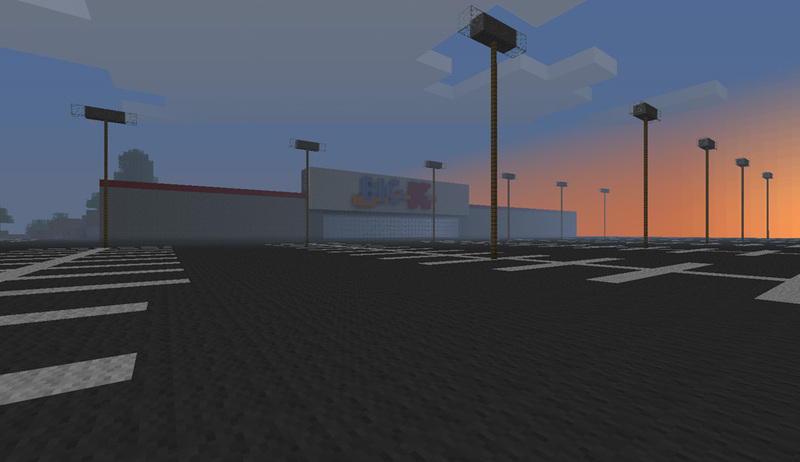 Or an empty K-Mart... excuse me, Big-K parking lot at dawn. Yep, it's an empty parking lot all right. But it's built in Minecraft. 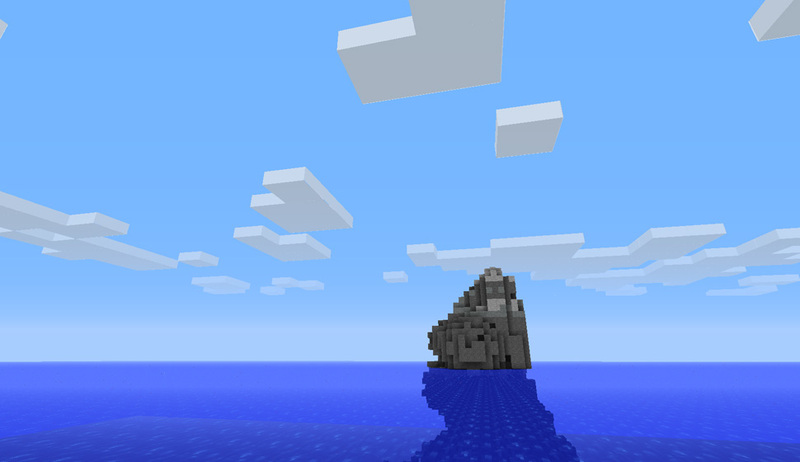 There's also a Minecraft version of Rockall, a small, rocky islet off the coast of Scotland covered in bird poo, but that's getting a little too exciting if you ask me. I think I'll go back and hang in that parking lot some more. There might be creepers in Big-K, but at least they (usually) don't explode.